-Starfighters: Start at Space Speed 4/Maneuverability +1D. Gain +1 Space Speed/+1 Maneuverability for every round of movement. Safety Limit is Speed +8/Maneuverability +8 pips (12/+3D+2). -Space Transports: Start at Space Speed 3/Maneuverability +1D. Gain +1 Space Speed/+1 Maneuverability for every round of movement. Safety Limit is Speed +6/Maneuverability +6 pips (9/+3D). 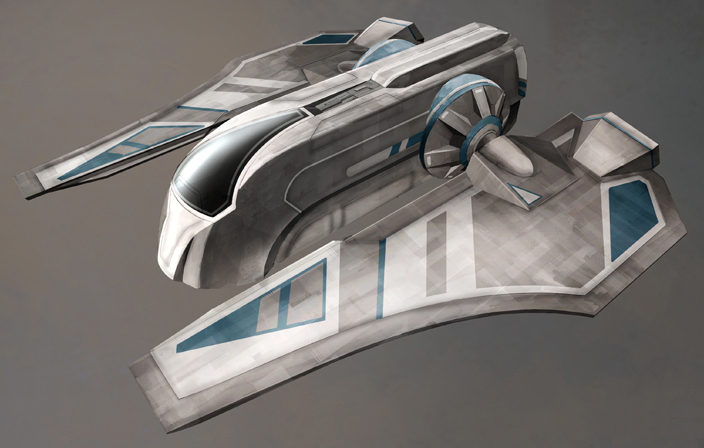 -Light Capital Scale Ships: Start at Space Speed 2/Maneuverability +1D. Gain +1 Space Speed/+1 Maneuverability for every round of movement. Safety Limit is Speed +4/Maneuverability +4 pips (6/2D+1). -Heavy Capital Scale Ships: Start at Space Speed 2/Maneuverability 0D. Gain +1 Space Speed/+1 Maneuverability per minute of movement. Safety Limit is Speed +4/Maneuverability +4 pips (6/+1D+1). -Death Star Scale Ships: Start at Space Speed 0/Maneuverability 0D. Gain +1 Space Speed/+1 Maneuverability per hour of movement. Safety Limit is Speed +2/Maneuverability +2 pips (2/+2). -Safety Limits: This is a mark for the "safe" limits on using a Gravimetric Drive, but ships can still increase their speed/maneuverability beyond this, at a risk. When increasing beyond the Safety Limits, the crew aboard the vessel must make a Dexterity roll to resist being shaken around by the maneuvers of the ship, starting at Moderate Difficulty. Failure results in 4D damage. For every +1 Speed/Maneuverability increase beyond the Safety Limits, the Difficulty Level for these rolls increases by +1 Level (or +5 pips on the dice). The damage roll also increases +1D per Difficulty Level accordingly. -Speed VS Maneuverability: Something worth mentioning about using Gravimetric Drive systems. The Safety Limits mentioned above may seem like a hendrance, even turning GMs/players off completely about using them. However, these limits only come into play when the starship with this kind of drive is making maneuvers of some kind. NOT when increasing speed. So a ship could keep increasing its speed well beyond the Safety Limits, flying in a somewhat straight line, and as long they do not make any sudden maneuvers, there would never be a need for the crew to make Dex rolls. This could be used for starship combat tactics, such as making lightning strikes on targets, or dropping of strike teams and fighter squadrons while passing through a strike area, all while flying at a portion of the speed of light! There are many other possibilities as well. It should be noted that achieving such speeds and then making a sudden "stop" to get the jump on a target is technically a maneuver, though GM's could alter this or wave it entirely since its a maneuver to decrease speed and avoid making such sharp maneuvers (don't forget your Inertial Compensators!). For more on Speed, see "Relativistic Seeds" in Design Notes, below. -Standards: The statistics listed above are what you might call a standard for starships with Gravimetric Drives. Ships can be built, by enhancement to either hull design or to the drives or some other feature, to have higher starting Speeds/Maneuverability, higher Safety Limits, or less time for their accelerations to increase Speed/Maneuverability. For that matter, there can be ships built to have the opposite as well. Also note the entry for "Light Capital Ships", as its increases make it a mix between Space Transport and Heavy Capital Ship. There may be many kinds of "Light Capital Ship" out there that would have varying degrees of this, such as taking longer to accelerate closer to a Heavy Capital Ship (and this might even be the more common norm). -Modifications: As the above mentions these stats being "standard", it is also possible to modify a ship's Gravimetric Drives to alter its stats for improvements to Speed/Maneuverability, Safety Limits, and acceleration speeds. Simply use the common charts for starship modifications found in Galaxy Guide 6 Tramp Freighters and/or The Star Wars Roleplaying Game Revised And Expanded. These charts list simple rules with numbers, percentages, dice rolls, Difficulties, etc, for modifying ships and improving numbered ship stats. Use the percentages listed in these charts and the prices given above to figure out the prices for modifying Gravimetric Drives (or use GM discretion if not available). -Gravity Wells: Gravimetric Drives, due to their nature, may be vulnerable to gravity wells. this does not exclude ships with these drives from flying in an atmosphere, but it may make it more difficult to do so. As a rule of thumb, any maneuvers made while in an atmosphere will be at +1 Difficulty Level to perform. This could be much higher depending on the circumstances, like flying into the atmosphere of a gas giant planet with a much greater gravity well, or being affected by a powerful interdictor field. Imperial interdictor cruisers will be a problem in normal space as well as preventing Hyperspace travel. -Hybrid Gravimetric Drives: This form of drive system combines more traditional thrust propulsion with that of the gravimetric drive. The thrust propulsion part of the hybrid system starts the ship at a higher speed than it would normally have with a Gravimetric Drive alone, while the Gravimetric Drive then allows the ship to accelerate to faster speeds and greater maneuverability. However, the Safety Limits for the starship type remain the same (you can't fight physics!) without further modifications to the Starship (see above for Modifications). This type of drive usually involves combining a weaker sublight drive with a weaker Gravimetric Drive,in order to get the best of both worlds while still making the best of installation space and fuel/power consumption, which may still be somewhat higher than if a ship used only one type of drive. Hybrid Gravimeteric Drives are also often the result of species tinkering with the idea of gravitic propulsion technology, either developed by them or found elsewhere, and they may not yet fully understand how to get the best results from such technology on its own yet. 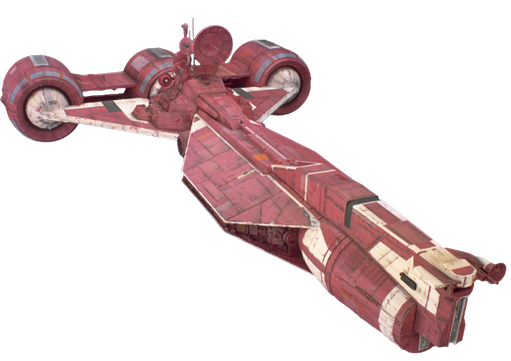 Starships in the Star Wars setting use many varied types of propulsion systems. These have come to fit certain galaxy wide standards over the centuries and millenia, with most starships using a form of Hyperdrive for faster than light travel, a type of ion thrust propulsion drive for sublight space travel, and repulsorlift engines for atmospheric flight. However, there are still many species that use alternate forms of propulsion, either more or less advanced than the galactic technology standards. This could be as simple as using older forms of rockets to achieve orbit above a planet, solar radiation sails that propel ships on the currents of the stars themselves, or manipulating some kind of force to achieve movement. One such method of this is the Gravimetric Propulsion Drive, which creates and manipulates artificial gravity fields to push/pull a starship in the desired direction. In general, these drives start out moving quite slowly, but built up to greater speeds over time. While this can seem like a hendrance when starting from a dead stop, ships with these drives can usually achieve greater speeds than other startships roughly their size and mass that use the more standard ion drives or some other form of thrust propulsion. As a ship with a Gravimetric Drive can achieve great speeds, it can also gain great maneuverability. Once the vessel has fought its own inertia and momentum to build up speed, it can use that same inertia to more easily pull itself in a desired direction when performing maneuvers in space. This makes such ships very agile in space once they've built up their speed, almost as if they could "turn on a dime", so to speak. Gravimetric Drives, by their very nature, also make a good replacement for artificial gravity generators and repulsorlift engines and other related systems. If a ship is modified to use a Gravimetric Drive and has these systems, it is a good idea to shut the off or remove them, as their functions may interfere with those of the drive and cause a malfunction or result in an incident that could cause injury or death. However, if these systems are left in place, they would make good back ups to be used if the Gravimetric Drive were to ever fail for some reason. Also by their very nature, some forms of Gravimetric Drive can make good replacements for tractor beams. Use of Gravimetric Drives is usually the sign of a species that is more advanced than the rest of the galactic norm. Many species in Star Wars have a detailed and lengthy history that goes back quite far and could have left a legacy of advanced technology that remains to the current day. 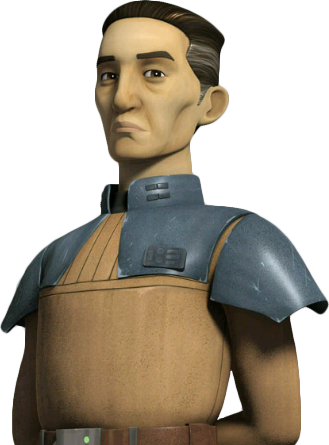 Good examples of such species could include the Columi, the Gree, and other races who still exist from the time of the Celestials/Architects and the Rakata of the Infinite Empire and the many races that served the Celestials (of which the Gree were a part of, and the Columi may have been). There could even be Gravimetric Drives discovered as a form of artifact left behind by a species that is now long gone from the galaxy, only to be used by savvy players in their cool starship(s). 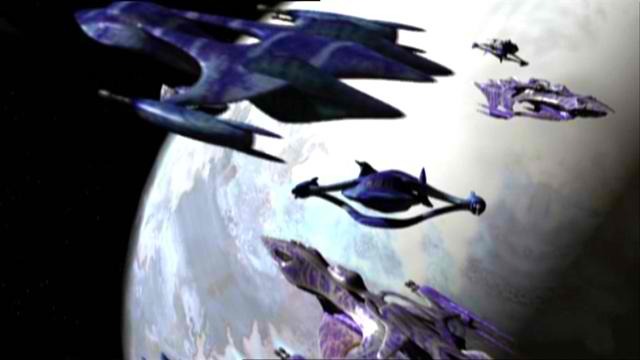 My initial reason for creating rules for the Gravimetric Drive was due to watching Babylon 5 again, seeing how the White Stars and other Minbari, Vorlon and Shadow ships flew through space, while around the same time having an idea in my mind for a new Star Wars species named the Grobyc (of which stats are posted on the site in the D6 Species section). This type of drive caught my attention, and I thought it would make a great addition to Star Wars as an alternate form of propulsion, should any ship jockey players out there take interest in it. On a personal note, when it comes to making characters in Star Wars D6, being some kind of tech who tinkers with ships to make them better has always appealed to me. For that reason and a few others, I thought this drive system would appeal to player techies out there who love to fiddle around with their ships. As for the Grobyc, their standard proulsion is the Hybrid Gravimetric Drive mentioned above, as this became the more widespread and cheaper form to use, while they also have ships with full Gravimetric Drives, though fewer in number and taking somewhat longer to produce. In my games, I usually consider Space Speeds as being much greater than Atmospheric Speeds, as the ships are not hindered by atmosphere or gravity, not using repulsorlift engines but ion engines which are much more powerful, and considering that the Millenium Falcon flew from the Hoth star system to that of Bespin in The Empire Strikes Back with only their "sublight" drives. This makes me consider that Space Speed may actually be something like "Relativistic Speeds", speeds approaching the Speed of Light. With this in mind, I sometimes consider Space Speed 20 to be actual light speed, with speeds of 21 and beyond to be faster than light. While this may seem ridiculous to some, or give creative players the idea that Hyperdives may be pointless when they could simply make a sublight engine that could achieve these speeds, one has to remember some truths about Hyperspace travel and galactic travel distances. Space in the galaxy is vast, very vast. Even flying at 10x, 20x, maybe even 100x the speed of light, it would take a very long time, months, years, decades, or even longer, to cross galactic distances that could be achieved by Hyperdrives in only a fraction of the time, minutes/hours/days, in what could be considered a short hyperspace jump. Keeping this in mind, the idea of using something like a Gravimetric Drive to attain speeds near or beyond the speed of light is not too far from possibility. Such a drive system in a ship could even be used to reach other star systems if they're close enough. But, "relatively" speaking (lol! ), such propulsion would probably limit a ship to travel within a space sector, perhap an oversector at best, with the time of traveling a given distance within the sector being relative to the distance a Hyperdrive would travel across the larger galaxy within the same amount of time, and the ship still could not traverse the rest of the galaxy within a reasonable amount of time. Such faster-than-light propulsion drives were the earliest method of colonization by Humans and other species in Star Wars, as they used Sleeper Ships to put colonists in Carbonite freezing stasis for such long voyages, and then propelled their ships through space at faster-than-light speeds using what were called "Dimension Drives" (think Warp Drives from Star Trek). Gravimetric Drives could be used to attain similar speeds to Dimension Drives, though the D-Drives probably took up much more space in their time.